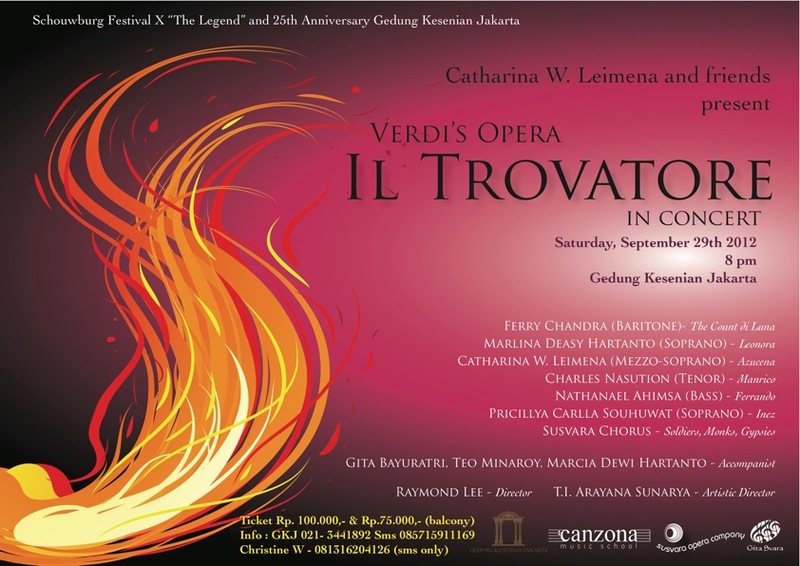 This is an opera from Verdi, he was well known as a very famous opera composer from the romantic era. Il Trovatore is one of the famous opera by Verdi, the other famous opera are Rigoletto, Macabeth etc. This will be an opera in concert, which is a simple form of opera; it will only be a piano - no orchestra. Saturday, September 29th 2012 - 8pm at GKJ (Gedung Kesenian Jakarta) in Pasar Baru. Ticket price is IDR 100.000 (IDR 75.000 for balcony). Tickets are selling out so get them fast. and say you are from Jakarta players and want to purchase tickets.